In today's day in age, many company's have turned to computerized systems to monitor inventory and record daily service appointments, among other things. Despite this fact, manual handwritten records are still the most efficient way for many auto dealership service departments and auto repair shops to record daily service appointment and keep their shop organized. This is especially true of small operations where a computerized system can be cumbersome, hard to use, and over-kill. 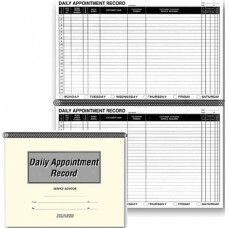 Our Daily Appointment Record Book is used to keep track of daily service appointments and the services requested by the customer. 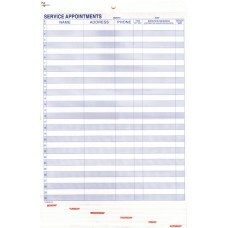 Each page of the book is used for one day and includes spaces for all of the pertinent information regarding the appointment, including tag number, work order number, year, make/model, telephone number, and service required. 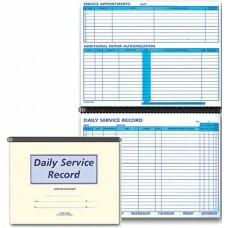 The Daily Service Record Book is similar, but in addition to recording appointments, it also records additional repairs which have been authorized by the customer. This book provides an audit trail of all service transactions from the appointment, to the arrival time, through the completed service and additional repairs. 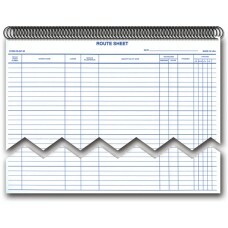 The book keeps track of all the information regarding scheduling, starting with the appointments, the time the vehicle arrives, all the way through the completed service, additional authorized repairs, and provides a place to record notes about the service. 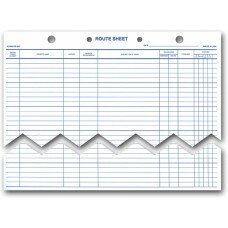 Our Daily Service Record Books & Route Sheets are designed to help service Advisers maintain organization so that their departments can run smoothly with an orderly work-flow and that mechanics/technicians can operate at maximum efficiency.